Creating a will is a basic element of estate planning. 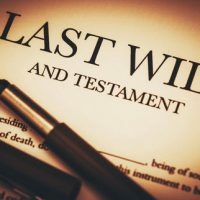 In addition to making sure your will meets all legal requirements in the state of New York, you will also need to name an executor who will file it in court in the event of your death. Choosing the right person to handle the responsibilities of acting as executor for your estate is important. The following outlines some of the duties involved, and what to look for in order to make the right choice. Preparing a budget and filing a final account with the Probate Court. The person you choose to act as executor must be of legal age and a U.S. citizen, and they cannot have any criminal felony convictions on their record. The responsibilities listed above require a certain level of skill and knowledge, and you want to be sure the person you choose has the experience to ensure your estate is handled in a proper and efficient manner. The size of the estate. If you have considerable assets and financial holdings, it may be wise to choose an estate planning attorney with experience in these matters. The potential for a will contest. If you suspect your will is likely to be contested, you want someone who will be able to defend it properly. The potential for conflicts of interest. Naming an executor who stands to inherit from the will can open the door for disputes to arise. For questions about choosing an executor or other facets of estate planning, contact the offices of Cavallo & Cavallo today. As your neighborhood law firm, our experienced estate planning attorneys can advise you on the best course of action in your situation, while ensuring your interests are protected.